Free admission. Everyone is welcome to attend! Come see esteemed logicians discuss and debate classical and non-classical (deviant) logic. Jc Beall, Jay Garfield, Richard Heck, Graham Priest and Agustin Rayo join intellectual forces for this afternoon symposium. Time is allotted for audience questions. We welcome attendees in person and virtually through our live webcast. A video recording of the symposium will be available on this webpage for anyone who cannot attend. We recommend testing your setup before the event. Having problems, or need help? Read our tips and get help. Ask a question to our panel! Email dlpsymposium@gmail.com or IM dlpsymposium on AIM during the conference. We'll try to do everyone justice. Please read our tips. 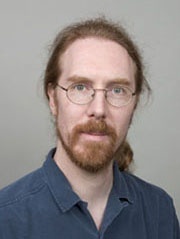 Jc Beall is Professor of Philosophy and Director of the UConn Logic Group at the University of Connecticut, Professor at the University of Otago (Dunedin, Otago), Associate Research Fellow at the Northern Institute of Philosophy at the University of Aberdeen (Aberdeen, Scotland) and also at the Arche Centre at University of St Andrews (St Andrews, Scotland). 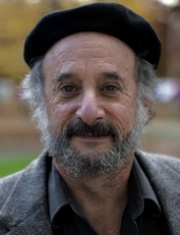 Jay Garfield is the Doris Silbert Professor in the Humanities and Professor of Philosophy and Director of the Logic Program at Smith College, Director of the Five College Tibetan Studies in India Program, Professor in the Graduate Faculty of Philosophy at the University of Massachusetts and Adjunct Professor of Philosophy at the Central University of Tibetan Studies. Richard Heck is Professor of Philosophy at Brown University and Associate Research Fellow at the Northern Institute of Philosophy at the University of Aberdeen (Aberdeen, Scotland). 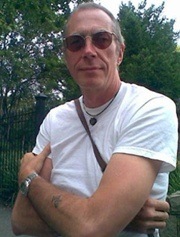 Graham Priest is Boyce Gibson Professor of Philosophy at the University of Melbourne, Distinguished Professor of philosophy at the CUNY Graduate Center and Professorial Fellow at the Arche Centre at University of St Andrews (St Andrews, Scotland). 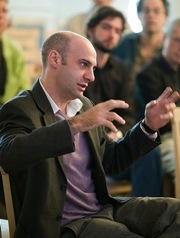 Agustin Rayo is Associate Professor of Philosophy at the Department of Linguistics and Philosophy at Massachusetts Institute of Technology, Associate Research Fellow at the Northern Institute of Philosophy at the University of Aberdeen, Associate Research Fellow at the Arche Centre at University of St Andrews (St Andrews, Scotland), and was elected to the Academic Council of the Universidad Gestalt de América, Mexico City, Mexico. The symposium will be held in Charlton 115. Once you arrive, you may turn left or right and go to parking lot 13 or 14; they're next to each other and both have parallel walkways to the correct building. Walk towards the grey buildings. The Charlton building will be the grey metal sided building after the grove of trees, the first one you come across. Room 115 is on the first floor, on the side of the building opposite the elevators. Please be mindful of the construction near the Charlton Building. We are pleased to offer the symposium as a live stream for those who cannot attend in person. The stream will be offered in Windows Media Format; if you can view this video of the 2010 commencement without problems, you can watch the stream. The stream may take a few seconds to load. Be patient. Mac users may find the free Flip4Mac plugin helpful. Make sure you get the free version, you don't need the paid version! Make sure your computer is not set to start the screensaver, shut off the display, or go to sleep after a certain amount of time without activity. You can also move the mouse every few minutes to make sure this doesn't happen, but ensuring these settings ahead of time will help you enjoy the symposium more. If you need help setting these up, please ask a local computer expert. Especially for people watching this in in groups: If you want to submit questions, we recommend using a separate computer or a smartphone than the one for viewing the stream. It's not required, but it will help ensure the best video quality on your end. We don't want you to miss a thing! Most institutions should have the necessary set up to allow you to watch the live stream in at least one room. Please consult your institution's computer support department for help in setting up computers and networks. You can email dlpsymposium@gmail.com with your questions; please put 'DLP' somewhere in your subject line so we know it's for the panel. You can instant message your question to dlpsymposium on AIM. Please consult a local computer expert for help in setting up an IM or mail program. Identify yourself briefly in your messages, so we know who to give credit. Keep questions or comments short and to the point. Just as if you were attending in person, be respectful of the panelists' time and other attendees in-person and remote. The support staff will try to get to most questions and give remote viewers a fair chance, but warns not every question submitted may be asked due to time constraints and other factors. If your question is asked and/or answered by another, and you no longer wish it asked, please indicate that you withdraw your question. Another email or IM will do fine. Be aware that this live stream will being recorded, and will be available for playback online in the future. If you would rather not have your question or comment recorded, hold your question and email the panelist(s) privately later. 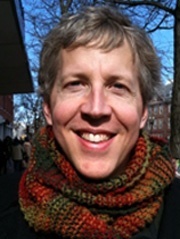 We wish to thank the Provost's Office for funding and support, our panelists for agreeing to come to our campus, Dr. Maureen Eckert for coordinating this event and getting it off the ground, Steven Splinter for website and technological logistics, and our volunteers for the ways they helped out.